NDDA Monthly meetings will now be held the 2nd Wednesday of every month @ 6:00 pm at the Nederland Community Center Multi Purpose Room. Public is welcome and encouraged to attend! 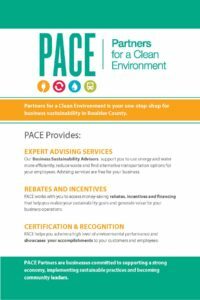 This is an amazing resource for business owners! Please contact them for more information. 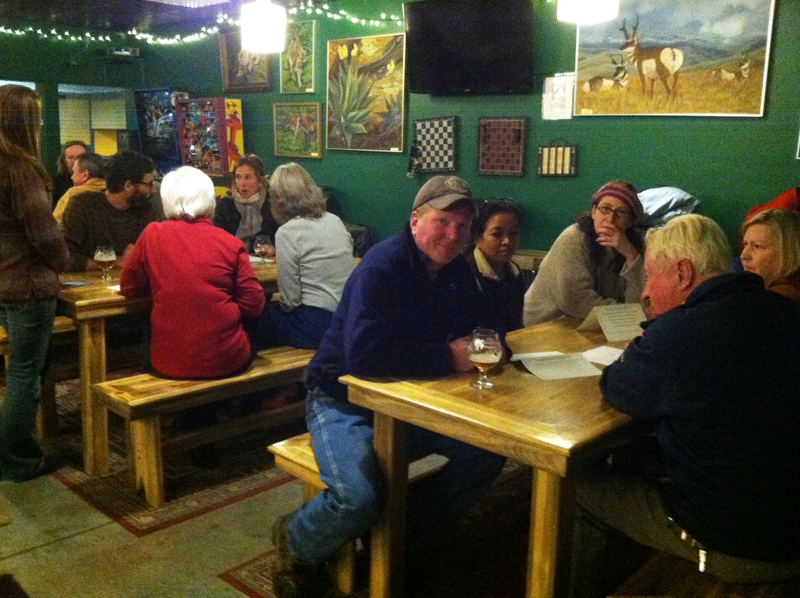 09/09/2015 – Sept 9th Planning Meeting – Reminder! Happy to announce that the NedPeds Project (other-wise known as the Pedestrian & Stormwater Management Improvement Project) has been released for bid. The DDA is planning an event to review the project with the public and remind everyone what it is, since it has been a while since we started it. NedPeds connects the library to the Post Office down Second Street and all the plans and documents around the project are available on the Website. 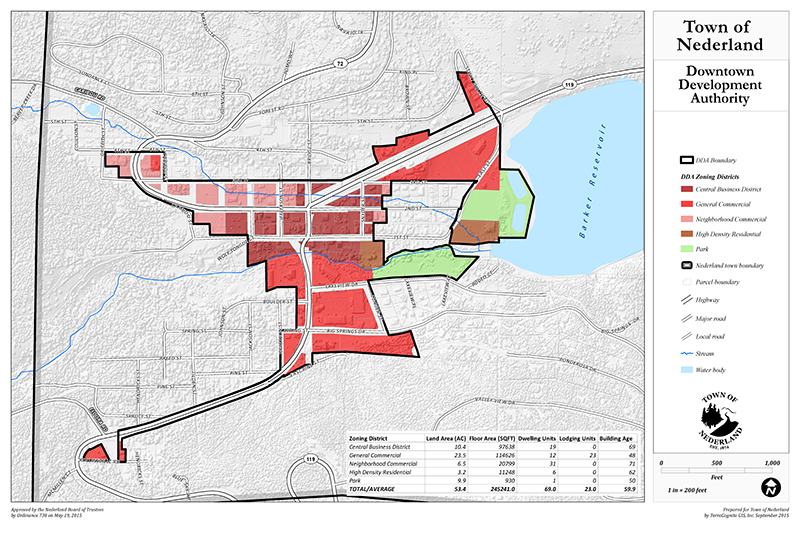 With NedPeds finally going to bid the NDDA Board is reviewing the Owner Project Requirements (OPR) that the Design Advisory Team (DAT) (property owners and residents in the NedPeds area) came up with. 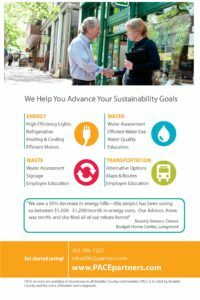 As one of the first major construction projects being done in Nederland in a while I wanted to share some of the goals and requirements and remind the community and ourselves of the commitments we are making. The NDDA spent many hours with the DAT, the community, and the designers to come up with the design that best fit the requirements of the grant, the infrastructure needs of the town and the desires of the community. This is the year that the DDA will update its Master Plan, among a few other projects. 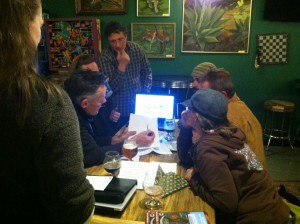 The start to the update actually began in November, when the DDA hosted a get together and workshop. 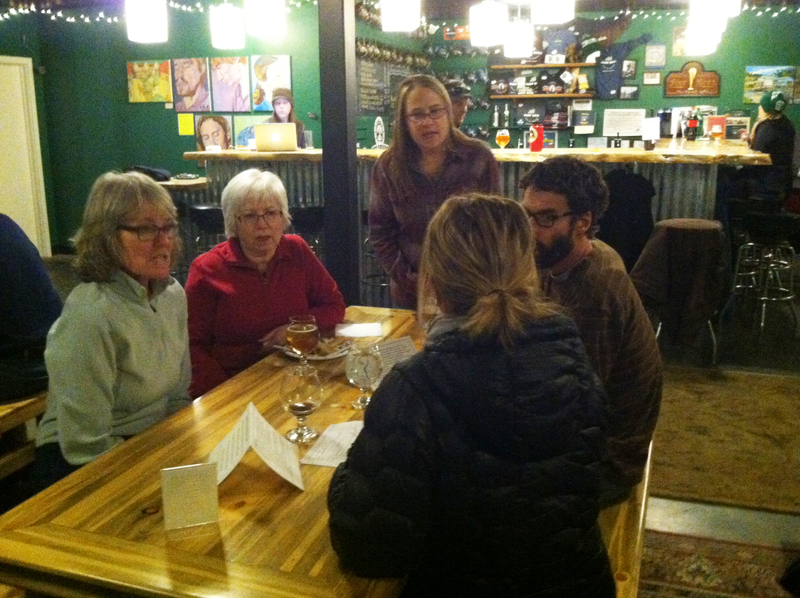 About 20 business and property owners from the DDA District came to The Very Nice Brewery and were able to spend time talking with DDA Board members about the Plan of Development (POD) and the 5 sections that make up the POD. To see the 5 sections, issues and vision statements around each section take a look at the working Vision Statement. For many of the folks attending this was also an important introduction to the DDA, why it exists, how it is funded and what are its plans. And this is just the first of many events like this that the DDA plans to host this year as we update the Master Plan and get ready for our next debt authorization in 2016. 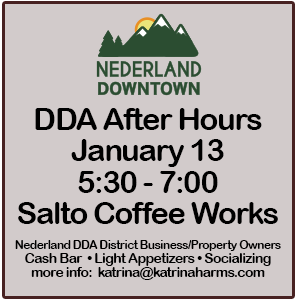 The January DDA After Hours will be January 13, 5:30pm at Salto Coffee Works. Cash Bar, light appetizers and this is purely for fun. 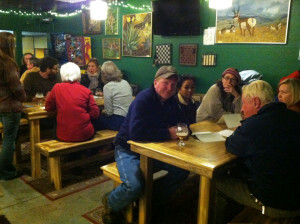 No program just DDA District Businesses and Property Owners getting together, meeting new people and socializing. How often do we really get together to just hang out. Of course, DDA board members will be there to answer questions about what we are doing, so if you’ve had something on your mind please let us know. Questions about the event, email Katrina Harms. 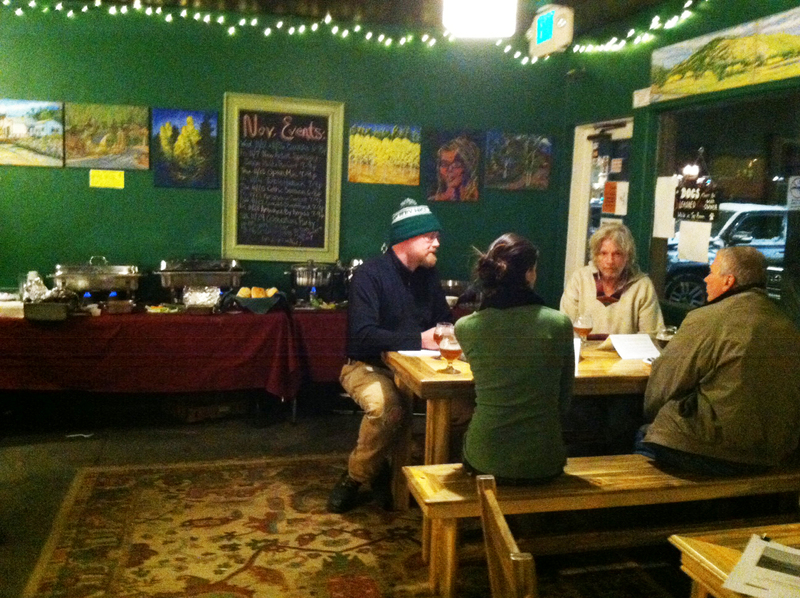 This Friday is December First Friday and this weekend is the Holiday Mountain Market. It is the kick-off to the Nederland Holiday Season and for the second year in a row there will be a tree lighting ceremony at Town Hall on Friday (at 5:30). There will be singing, lead by a couple of local Girl Scout troops. Santa will make an appearance between 6 and 6:30 in the downtown area. Boy Scouts will be collecting cans of food at the Carousel (donate a non-perishable, not-expired food item and get a free ride). Currently the following businesses have something going on for that night; The Alpaca Store & More, Carousel of Happiness, Mountain Man Outdoor Store, Mountain People’s Co-Op, Salto Coffee Works, The Train Cars Coffee and Yogurt Company, Nederland Visitor Center, Wild Mountain Smokehouse and Brewery, Wild Bear Mountain Ecology Center. 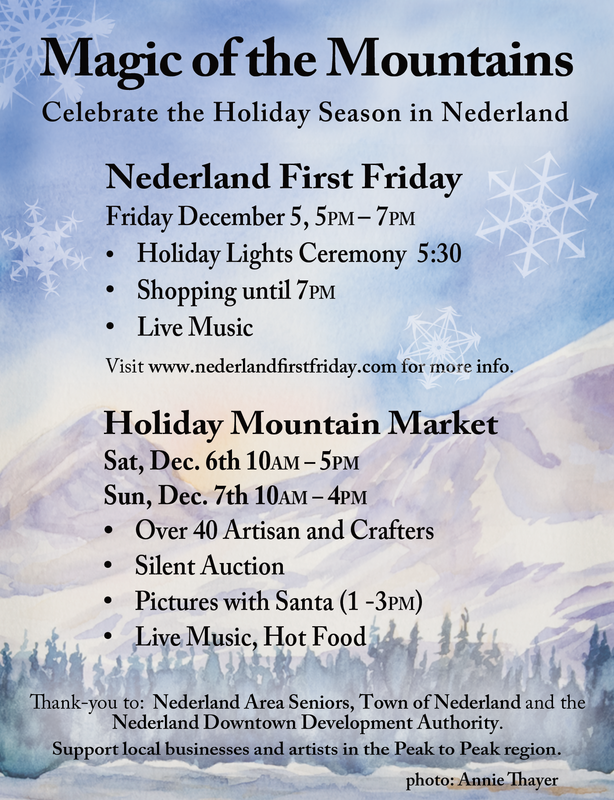 For a complete list of businesses participating with discounts on merchandise, and the art, food, or music specials go to the Nederland First Friday page. UPDATE: Peak Wine and Spirits, and Kathmandu Restaurant have added an event/specials. The DDA has purchased (THANKS ACE HARDWARE!) strings of LED lights that are made available to businesses to help bring the holiday spirit to downtown. We’ve tried to get around to all the businesses but if you would like a roll or 2 please email Cindy. We would like them to be used in windows or outside first. If we have any left we can loan them for inside decorating. And please don’t forget those who need a little extra help this season. There are food and toy collections going on all throughout town. Most, if not all donations, go to the Nederland Food Pantry who will be distributing to families here in the Nederland area later in December. Welcome to the Downtown Development Authority’s new website. We are still working on a few pages and will be adding content as we go along. Our goal is to be transparent and to that end we hope that visitors to the site will ask questions and let us know when we are doing well and when we need to do more. I wanted to put a little history up on why Nederland has a DDA and have included links to statutes and ordinances. All that information can also be found in the About NDDA section as well. While all major DDA projects go through a Nederland Public Process, if you are a business or property owner in the DDA District, we want to hear from you and we hope to make it easier as we go along and it starts with this Website and better connecting with our members. In 2004, after an economic downturn that had really affected Nederland, the Nederland Area Chamber of Commerce and the Town of Nederland hosted an Economic Summit. The results of the summit can be found in the 2 documents, Nederland Area Market Analysis & Action Plan and the Nederland Area Market Analysis Appendix. In 2005, Nederland voters approved the creating of the DDA and they began planning their projects. 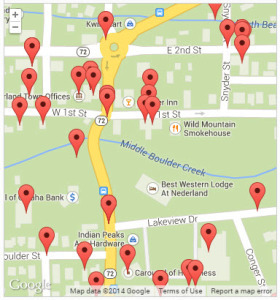 To date the DDA has completed the sidewalk from downtown Nederland to County Road 130 and another walkway/drainage/improvement project, NedPeds, will go into construction summer 2015. We have provided downtown flowers in the summer and holiday lights in the winter. We have contributed matching funds for a Marketing and Tourism grant, Fireworks 2015, and 2 Electric Vehicle Charging stations are being installed behind the Visitor Center. In the past year we’ve applied for capital improvement grants for the intersection of Lakeview and Highway 119 and for walkways connection the NedPeds project to HWY 119 bus stops. The addition of sidewalks and planned walkways have encouraged RTD and Boulder County to contribute to the improvement and additions of bus stops in Nederland. We are just beginning our Master Plan update process and along with that we will be reaching out to District Members and the Nederland Public to ask how our downtown should function and what it should look like. We will have an email newsletter, we already have a Facebook page and we have this new Website where we hope to keep everyone up-to-date and give people a place to comment. Our Board Members are committed to creating the Downtown that our businesses, property owners and residents need and want and you can see who we all are and contact any one of us with questions or concerns.